I am so excited to be a Kyodan ambassador! If there’s one thing to know about me, it’s that fitness is an essential part of my life, which means that I take my activewear very seriously. There’s nothing worse than leggings that keep falling down when you’re trying to do sun salutations or a sports bra that pinches in all the wrong places. Established in 2006, Kyodan is a leading activewear company based in Montreal. Kyodan is all about producing high-quality garments with innovative designs for the best fit and feel for your workout. 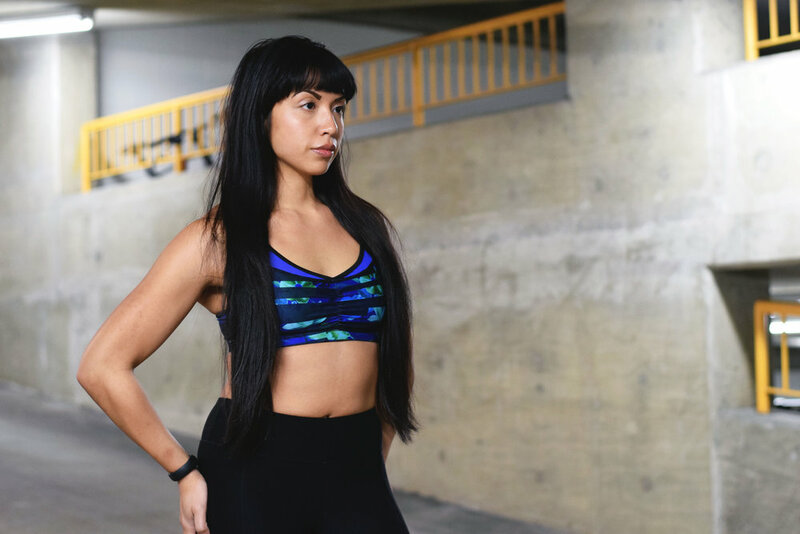 This blue- and green-tone sports bra features an oh-so-pretty floral print that is absolutely perfect for spring. The back of this piece is quite the showstopper — the gold ring pulls together multiple straps that create an interesting and unexpected look for a sports bra. And then, we have these leggings… these killer, killer leggings. First off, check out those mesh inserts! They reveal just the right amount of skin, and you get the added bonus of breathability. I’ve worn leggings that felt so constricting and tight; it was like my legs were zipped in and on the brink of suffocating. Not the case with these. There’s also a discreet pocket where you can stash a key or cash if you’re going out for a long run or just don’t want to deal with carrying around your essentials. What I also love about these leggings is that while they’re built for working out, they could take you from yoga or spin class to a brunch or coffee date with ease. Fashion-forward and functional? Yes, please! If you’re interested in becoming a Kyodan ambassador, learn more about the program here.